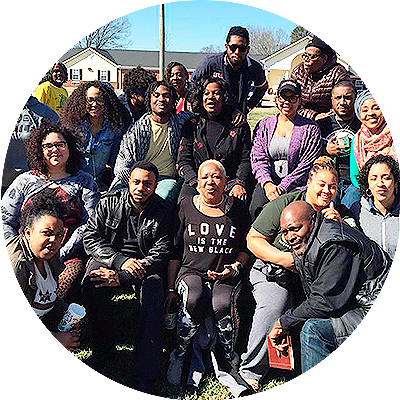 BOLD (Black Organizing for Leadership and Dignity) is a non-profit organization that facilitates social transformation and improves the living conditions of Black people by (re)building the social justice infrastructure required to organize Black communities. 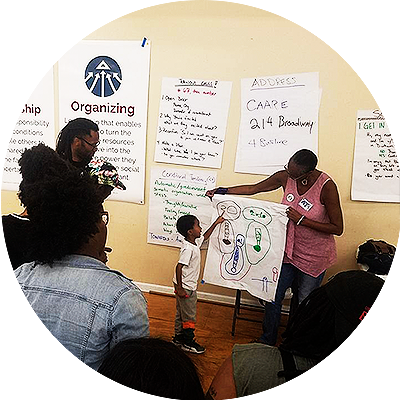 BOLD fulfills its purpose by equipping Black organizers and Black leaders of social justice organizations with the personal and organizational tools they need to build and sustain allied social movements. BOLD carries out its mission through a series of training and mentorship programs detailed below. Apply by clicking on the link to each program. Builds the leadership skills, base-building capacity, political clarity, and organizing effectiveness of 40 directors/lead organizers (per year) and their organizations (as a contribution towards building Black organizing infrastructure in the areas of education, employment rights, ending mass incarceration, housing/land rights). Increases the effectiveness of frontline organizers and deepen their skills in movement building, campaign management, organizational development, strategic communications, fundraising, political education, and transformative leadership. The overall approach for the program will be guided by Transformative Organizing (TO) principles which integrate personal transformation and transformation of our relationships into the process of fighting for social change. To be eligible, an organizer must be working at one of the organizations whose Director is a BOLD alum. This year, BOLD partnered with alumni organization: LA Black Workers Center and Durham for All for Amandla! apprenticeship and training sites. 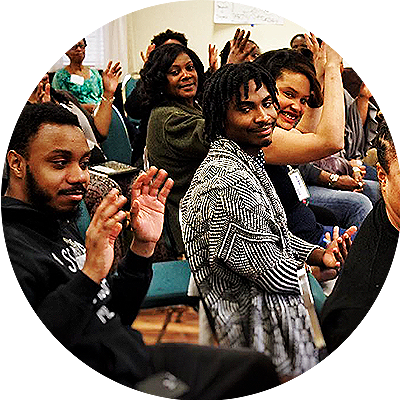 • 4-day intensive training: New organizers learn foundational organizing skills; learn and develop practices for self-awareness and transformative leadership; and political education. Organizers will leave each retreat with assignments and clear benchmarks for on- the ground practice. • 1 week organizing campaign: Organizers, recruited from the training above, will each work together in their assigned city, at a BOLD alumni organization, on a specific issue-based campaign to implement their new skills and receive continued embodied leadership and political education training. Every year, BOLD alumni, staff, board members and allies gather in fellowship annually at the National Gathering to fulfill our mission and continue unleashing the collective power of Black organizers, trainers, mentors, mentees. This four-day event convenes 100+ BOLD alumni from across the country for strategic planning sessions, emergent dialogues, celebration, evaluation, talks with guest, elders, and workshops on organizing, transformative practice and personal ecology in order to increase the possibilities of strategic coordination for social and political change. Together, National Gathering attendees strengthen national & regional level coordination, relationships, political analysis and organizing amongst BOLD alumni and the organizations they represent.